The first season of the highly popular World Boxing Super Series’ (WBSS) super middleweight division concludes today (Friday, Sept. 28), when World Boxing Association (WBA) super middleweight world champion “Saint” George Groves takes on undefeated challenger Callum “Mundo” Smith, airing live from Jeddah, Saudi Arabia, starting at 2 p.m. ET / 11 a.m. PT, exclusively on Super Channel in Canada. Groves vs. Smith, presented by Sauerland Event, was postponed from its originally planned June 2 date due to Groves’ shoulder surgery from an injury he suffered in his February17th WBSS semifinals 12-round unanimous decision victory against Chris Eubank, Jr.
Groves (28-3, 20 KOs), 30, is fighting out of London. He knocked out defending WBA super middleweight champion Fedor Chudinov (14-1) in the sixth round of their May 27, 2017 title fight. His first WBA title defense was a fourth-round stoppage of Jaime Cox in the opening round of the WBSS, followed this past Feb. by his semifinals victory over Eubank (26-1). 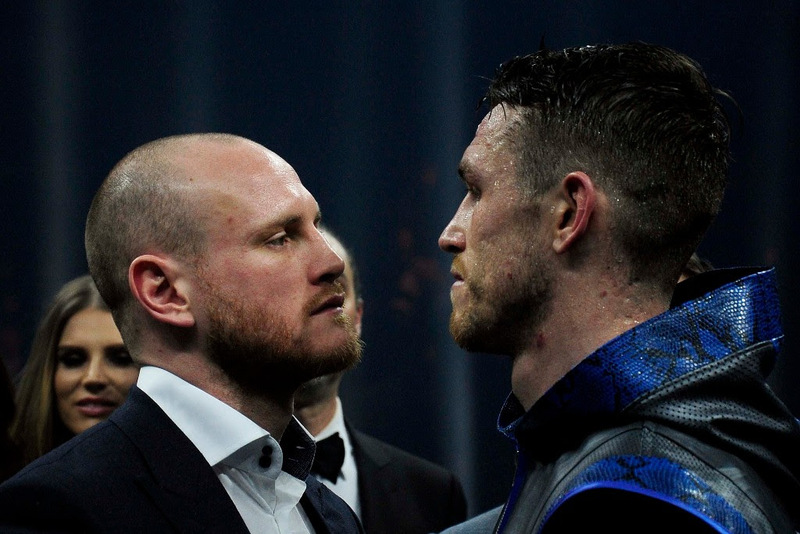 “I am in the form of my life,” Groves said. “I am not too fussed about Callum, to be honest. I don’t know how he is feeling. I am concentrating on myself. That’s what works for me, that’s the winning formula. As long as I’m in a good place no one is going to beat me. “I am number one in the division. Proud of it. I am the favorite going into this fight. I was the number one seed when the tournament started. I am going to win and I am going to win well. We are in a great place. The 28-year-old Smith (24-0, 17 KOs), fighting out of Liverpool in this All-Brit finale, won a 12-round unanimous decision from previously undefeated Erik Skoglund (26-0) in the WBSS opening round. Smith was supposed to fight former WBA and WBO light heavyweight Juergen Braehmer in the WBSS semifinal round, but Braehmer pulled out and he was replaced late by unbeaten Nicky Holken (13-0), who Smith defeated by way of a 12-round unanimous decision. “I’m excited, there is a lot at stake,” Smith commented. “Win this fight and I will have achieved what I always wanted to achieve. I am so close to finally doing it all. Five exciting fights on the “Groves vs. Smith” card, promoted by Sauerland Event, will air exclusively in Canada on Super Channel. All WBSS super middleweight championship fights will also be available on Super Channel On Demand. Super Channel has aired major boxing events during the past two years like Brook vs. Spence Jr., Pacquiao-Horn, Eubank, Jr. vs. Abraham, Lomachenko vs.Marriaga, Crawford vs. Indongo, Smith vs. Williams II, Frampton vs. Donaire, Fury vs. Seferi, Frampton vs. Jackson, and the entire first WBSS season.